Not to be confused with Cadillac Seville. For the body style, see Coupe de Ville. The Cadillac DeVille was originally a trim level and later a separate model produced by Cadillac. The first car to bear the name was the 1949 Coupe de Ville, a pillarless two-door hardtop body style with a prestige trim level above that of the Series 62 luxury coupe. 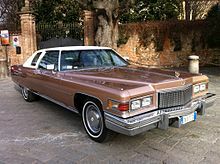 The last model to be formally known as a DeVille was the 2005 Cadillac DeVille, a full-size sedan, the largest car in the Cadillac model range at the time. The next year, the DeVille was officially renamed DTS. The name "DeVille" is derived from the French de la ville or de ville meaning "of the town". In French coach building parlance, a coupé de ville, from the French couper (to cut) i.e. shorten or reduce, was a short four-wheeled closed carriage with an inside seat for two and an outside seat for the driver and this smaller vehicle was intended for use in the town or city (de ville). An (unshortened) limousine or (in the United States) town car has a division between the passenger and driver compartments and if the driver's seat is outside it may be called a sedanca de ville or town car. The first Cadillac "Coupe de Ville" was shown during the 1949 Motorama. It was built on a Cadillac Sixty Special chassis and featured a dummy air-scoop, chrome trim around front wheel openings, and a one-piece windshield and rear glass. The interior was black and trimmed in gray leather, including the headliner, to match the roof color. It was equipped with a telephone in the glove compartment, a vanity case and a secretarial pad in the rear armrest, power windows and highly decorative chrome interior trim. The prototype "Coupe de Ville" was used by GM President Charles E. Wilson until 1957 when he presented it to his secretary. At some time during this period it acquired a dark Vicodec roof. The prototype "Coupe de Ville" was found again and beautifully restored in the 2nd decade of the New Millennium; it is currently (2016-17) in a private collection in London, Ontario, Canada. The Cadillac Series 62 Coupe de Ville was introduced late in the 1949 model year. Along with the Buick Roadmaster Riviera, and the Oldsmobile 98 Holiday, it was among the first pillarless hardtop coupes ever produced. At $3,496 it was only a dollar less than the Series 62 convertible, and like the convertible, it came with power windows standard. It was luxuriously trimmed, with leather upholstery and chrome 'bows' in the headliner to simulate the ribs of a convertible top. In its first year the Series 62 Coupe de Ville only sold 2,150 units. But 1950 sales more than doubled to 4507, and in 1951 sales more than doubled again to 10,241 exceeding the sales for the Series 62 Club Coupe that year. Also, in 1951, Coupe de Ville chrome script appeared on the rear roof pillar for the first time, to further distinguish it from the Series 62 Club Coupe. In 1956 the Series 62 Coupe de Ville was joined by the Series 62 Sedan de Ville, Cadillac's first standard production 4-door hardtop. Similarly to the Coupe de Ville, it was also more expensive and more luxuriously trimmed that the standard 4-door Series 62. With 41,732 sold, it also easily outsold the Series 62 sedan in its very first year. Given their sales success, it was only natural that the Coupe de Ville and Sedan de Ville were moved to their own separate series in 1959, the Series 6300, being joined by a DeVille convertible in 1964. Detroit Assembly, Detroit, Michigan, U.S. The 1959 Cadillac is remembered for its huge sharp tailfins with dual bullet tail lights, two distinctive rooflines and roof pillar configurations, new jewel-like grille patterns and matching deck lid beauty panels. In 1959 the Series 62 were moved from the Series 62 to their own series, the Series 6200. DeVilles and 2-door Eldorados became the Series 6300 and Series 6400 respectively, though they all, including the 4-door Eldorado Brougham (which was moved from the Series 70 to Series 6900), shared the same 130 in (3,302 mm) wheelbase. Engine output was an even 325 hp (242 kW) from the 390 cu in (6.4 L) engine. The DeVille Series had script nameplates on the rear fenders. Standard equipment included power brakes, power steering, automatic transmission, back-up lamps, windshield wipers, two-speed wipers, wheel discs, outside rearview mirror, vanity mirror, oil filter, power windows and two-way power seats. Plain fender skirts covered the rear wheels and 4-doors were available in either four-window or six-window hardtop configurations. Over 53,000 DeVilles were sold in their first year as a separate series, accounting for roughly 37% of all Cadillacs sold. The 1960 Cadillacs had smoother, more restrained styling. General changes included a full-width grille, the elimination of pointed front bumper guards, increased restraint in the application of chrome trim, lower tailfins with oval shaped nacelles and front fender mounted directional indicator lamps. DeVilles were distinguished by special script nameplates on the rear fenders. Four-window and six-window hardtop sedans were offered again. The former featured a one-piece wraparound backlight and flat-top roof, while the latter had a sloping rear window and roofline. Standard equipment included power brakes, power steering, automatic transmission, dual back-up lamps, windshield wipers, two-speed wipers, wheel discs, outside rearview mirror, vanity mirror, oil filter, power windows and a two-way power seats. Technical highlights were finned rear drums and an X-frame construction. Interiors were done in Chadwick cloth or optional Cambray cloth and leather combinations. Cadillac was restyled and re-engineered for 1961. The new grille slanted back towards both the bumper and the hood lip, along the horizontal plane, and sat between dual headlamps. New forward slanting front pillars with non-wraparound windshield glass were seen. The revised backlight treatment had crisp angular lines with thin pillars on some models and heavier semi-blind quarter roof posts on others. DeVille models featured front series designation scripts and a lower body "skeg" trimmed with a thin, three-quarter-length spear molding running from behind the front wheel opening to the rear of the car. Standard equipment included power brakes, power steering, automatic transmission, dual backup lights, windshield washer, dual speed wipers, wheel discs, plain fender skirts, outside rearview mirror, vanity mirror, oil filter, power windows and 2-way power seats. Rubberized front and rear coil springs replaced the trouble prone air suspension system. Four-barrel induction systems were now the sole power choice and dual exhausts were no longer available. A new short-decked four-door Town Sedan hardtop appeared mid-season. A mild facelift characterized Cadillac styling trends for 1962. A flatter grille with a thicker horizontal center bar and more delicate cross-hatched insert appeared. Ribbed chrome trim panel, seen ahead of the front wheel housings in 1961, were now replaced with cornering lamps and front fender model and series identification badges were eliminated. More massive front bumper end pieces appeared and housed rectangular parking lamps. At the rear tail lamps were now housed in vertical nacelles designed with an angled peak at the center. A vertically ribbed rear beauty panel appeared on the deck lid latch panel. Cadillac script also appeared on the lower left side of the radiator grille. The short-deck hardtop Town Sedan was moved from the DeVille series to the Series 6200, being replaced by a short-deck Park Avenue. 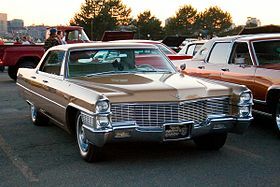 In addition all short deck Cadillac models went from being 6-window sedans in 1961 to 4-window sedans in 1962 and 1963. Standard equipment included all of last year's equipment plus remote controlled outside rearview mirror, five tubeless black wall tires, heater and defroster and front cornering lamps. Cadillac refined the ride and quietness, with more insulation in the floor and behind the firewall. DeVille sales as a separate series exceeded their sales level as a trim level for the first time ever at 71,883 units, or nearly 45% of Cadillac's total sales. In overall terms 1963 Cadillac was essentially the same as the previous year. Exterior changes imparted a bolder and longer look. Hoods and deck lids were redesigned. The front fenders projected 4.625 inches further forward than in 1962 while the tailfins were trimmed down somewhat to provide a lower profile. Body-side sculpturing was entirely eliminated. The slightly V-shaped radiator grille was taller and now incorporated outer extensions that swept below the flush-fender dual headlamps. Smaller circular front parking lamps were mounted in those extensions. A DeVille signature script was incorporated above the lower beltline molding near the rear of the body. A total of 143 options including bucket seats with wool, leather, or nylon upholstery fabrics and wood veneer facings on dash, doors, and seatbacks, set an all-time record for interior appointment choices. Standard equipment was the same as the previous year. The engine was entirely changed, though the displacement and output remained the same, 390 cu in (6.4 l) and 325 hp (242 kW). It was time for another facelift in 1964 and really a minor one. New up front was a bi-angular grille that formed a V-shape along both its vertical and horizontal planes. The main horizontal grille bar was now carried around the body sides. Outer grille extension panels again housed the parking and cornering lamps. It was the 17th consecutive year for the Cadillac tailfins with a new fine-blade design carrying on the tradition. Performance improvements including a larger V-8 were the dominant changes for the model run. Equipment features were same as in 1963 for the most part. Comfort Control, a completely automatic heating and air conditioning system controlled by a dial thermostat on the instrument panel, was introduced as an industry first. The engine was bumped to 429 cu in (7 l), with 340 hp (253.5 kW) available. Performance gains from the new engine showed best in the lower range, at 20 to 50 mph traffic driving speeds. A new technical feature was the Turbo-Hydramatic transmission, also used in the Eldorado and the Sixty Special. A DeVille script above the lower belt molding was continued as an identifier. This was the first year for the DeVille convertible. DeVille sales reached 110,379 units, accounting for nearly two thirds of all Cadillacs sold. 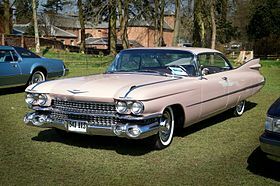 As it had been since DeVille became a separate series, DeVille denoted Cadillac's mainstream model, falling between the Calais (which had replaced the Series 62) and the Sixty Special and Eldorado. The DeVille was redesigned for 1965 but rode on the same 129.5-inch (3,290 mm) wheelbase. Tailfins were canted slightly downward, and sharp, distinct body lines replaced the rounded look. Also new were a straight rear bumper and vertical lamp clusters. The headlight pairs switched from horizontal to vertical, thus permitting a wider grille. Curved frameless side windows appeared, and convertibles acquired tempered glass backlights. New standard features included lamps for luggage, glove and rear passenger compartments and front and rear safety belts. Power was still supplied by the 340 horsepower 429 cu in (7,030 cc) V8, which would be replaced by the 472 cu in (7,730 cc) for 1968. Perimeter frame construction allowed repositioning the engine six inches forward in the frame, thus lowering the transmission hump and increasing interior room. Pillared sedans appeared on the DeVille series for the first time, while six-window hardtop sedans were dropped. A padded vinyl roof was a $121 extra-cost option on the hardtop model. All four DeVille models had small "Tiffany-like" script nameplates on the ends of their rear fenders just above the chrome side molding. In 1966 changes included a somewhat coarser mesh for the radiator grille insert, which was now divided by a thick, bright metal horizontal center bar housing rectangular parking lamps at the outer ends. Separate rectangular side marker lamps replaced the integral grille extension designs. There was generally less chrome on all Cadillac models this year. DeVille scripts were still above the rear tip of the horizontal body rub moldings. Cadillac crests and V-shaped moldings, front and rear, were identifiers. Cadillac "firsts" this season included variable ratio steering and optional front seats with carbon cloth heating pads built into the cushions and seatbacks. Comfort and convenience innovations were headrests, reclining seats and an AM/FM stereo system. Automatic level control was available. Engineering improvements made to the perimeter frame increased ride and handling ease. Newly designed piston and oil rings and a new engine mounting system and patented quiet exhaust were used. The 1967 DeVilles were extensively restyled. Prominent styling features were given a powerful frontal appearance with forward-leaning front end, long, sculptured body lines, and redefined rear fenders that had more than just a hint of tail fins in them. The full-width, forward-thrusted "eggcrate" grille was flanked by dual stacked headlights for the third consecutive year. The squarer cornered grille insert had blades that seemed to emphasize its vertical members and it appeared both above the bumper and through a horizontal slot cut into it. Rectangular parking lamps were built into the outer edges of the grille. Rear end styling revisions were highlighted by metal divided tail lamps and a painted lower bumper section. Coupe de Villes got a new roofline, inspired by the Florentine show car created for the 1964 New York World's Fair, that gave rear seat passengers added privacy. As on that show car, the quarter window glass retracted rearward into a sail panel. Minor trim variations and slightly richer interiors separated DeVille from Calais. Tiffany style chrome signature scripts were again found above the body side molding on the rear fenders. New standard DeVille features included non-glare rear-view mirror, electric clock, Automatic Climate Controls, padded dashboard, Hazard Warning system, outboard seatbelt retractors and rear cigarette lighters in all styles. A slide-out fuse box and safety front seat back lock for two-door models were additional Cadillac advances for the 1967 model year. Technical improvements included a revised engine valve train, different carburetor, Mylar printed circuit instrument panel, re-tuned body mounts, and a new engine fan with clutch for quieter operation. 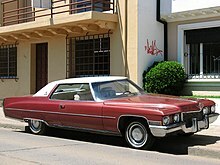 In 1969 DeVille was restyled in the Eldorado image. An Eldorado-like front fender treatment evolved and helped to emphasize a stronger horizontal design line. Rear quarters were extended to give the car a longer look. There was an all new grille with dual horizontal headlamps positioned in the outboard step down areas of the grille. The hood was again extended, a total of 2.5 inches to add the impression of extra length. The roofline was squarer and the rear deck and bumper more sculptured. A new ventilation system eliminated the need for vent windows, which provided a longer sleeker look and improved visibility. New standard features included front and rear (except on convertibles) center seat armrests. In 1970 a facelift included a grille with 13 vertical blades set against a delicately cross-hatched rectangular opening. The bright metal headlamp surrounds were bordered with body color to give it a more refined look. Narrow vertical "vee" tail lights were seen again, but now had additional smaller V-shaped bottom lenses pointing downward below the bumper. Wheel discs and winged crest fender tip emblems were new. Exterior distinctions came from a DeVille script above the rear end of the belt molding and from the use of long rectangular back up light lenses set into the lower bumper as opposed to the smaller square lens used on the Calais. A new feature was a body color border around the edge of the vinyl top covering, when this option was ordered. 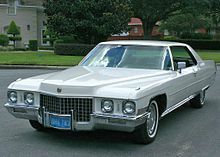 1970 was the last year that DeVille offered a convertible body style, 1970 was also the last model year for pillared sedans until hardtops were permanently dropped in 1977. A total of 181,719 DeVilles were sold for that model year, accounting for 76% of all Cadillacs. As with all GM full-size lines, the DeVille was redesigned for 1971. The new GM full-size bodies, at 64.3 inches front shoulder room (62.1 inches on Cadillac) and 63.4 inches rear shoulder room (64.0 inches on Cadillac) set a record for interior width that would not be matched by any car until the full-size GM rear-wheel-drive models of the early to mid-1990s. Pairs of individually housed squarish headlamps were set wider apart. The V-shaped grille had an eggcrate style insert and was protected by massive vertical guards framing a rectangular license plate indentation. A wide hood with full-length windsplints, a prominent center crease and hidden windshield wipers was seen. A Cadillac crest decorated the nose and new indicator lamps appeared atop each front fender. A horizontal beltline molding ran from behind the front wheel housing, almost to the rear stopping where an elliptical bulge in the body came to a point and where thin rectangular side markers were placed above and below the chrome strip. The rear wheel openings were again housed in fender skirts. Tail lamps were of the same type as before but were no longer divided by a chrome bar. Long horizontal back-up lamps were set in the bumper, on either side of a deeply recessed license plate housing. DeVilles were set apart visually by thin bright metal rocker panel steps and signature script on the front fenders bearing the series name. The bottoms of the rear fenders were decorated with a bright metal beauty panel that was wider than the rocker panel strips and blended into the molding running along the bottom of the fender skirt. The standard engine remained the 472, still rated at 375 SAE gross horsepower and 365 lb⋅ft (495 N⋅m) of torque. In 1972 a modest frontal revision placed more emphasis on horizontal grille blades. The parking lamps were moved from the bumper to between the square bezeled headlamps, which were now set wider apart. V-shaped emblems made a return on hood and deck lid. New standard features included a bumper impact system, automatic parking brake release, passenger assist straps and flow through ventilation system. New DeVille signature script was affixed to the sides of the rear roof panels. Sales reached a record 194,811. New energy absorbing bumpers were seen on all GM cars in 1973 and it brought styling refinements to DeVille. Grilles were widened and had an intricate eggcrate design. Larger vertical rectangles housed the parking lamps between wide spaced headlamps which had square bezels but round lenses. Bumpers ran fully across the front and wrapped around each end. Vertical guards were spaced much further apart at a point outboard of the grille. The rear end had a bumper with a flatter upper section housing an angled license plate recess. Border outline moldings vertically "veed" paralleled the fender edge shape at the rear bodysides. Single horizontally mounted rectangular rear side marker lamps were placed over and under the rear tip of the thin beltline trim. Cadillac script was seen on the front fender sides below the belt molding behind the wheel opening. This was the final year for hardtop Coupe de Villes, an irony since it was their introduction of the hardtop that made them such a sensation in 1949. Sales set a new record at 216,243. In 1974 a wide eggcrate grille was used. Dual round headlamps were mounted close together in square bezels. Further outboard were double deck wraparound parking lamps. Shorter vertical grille guards appeared in about the same position as before. Rear fendersides were flatter without the elliptical bulge. The thin beltline molding was positioned lower by several inches. The rear end had vertical bumper ends with the tail light built in. Both bumpers, especially the rear, protruded further from the body. Unlike the other "C" body GM coupes, the Coupe de Ville was no a longer true hardtop, instead sporting large wide "coach" windows giving a thick center pillar look. They retained their frameless door glass, however. The Sedan de Ville continued as a true hardtop however, and would remain so until the 1977 model. A new curved instrument panel housed a digital clock. New standard features included an integral litter container. A Space Saver spare tire was standard when DeVilles were ordered with optional white sidewall steel belted radial tires. 1974 also saw the introduction of the optional "Air Cushion Restraint System". Known today as airbags, this option provided protection for front seat occupants in the case of a frontal collision. One bag was located in the steering wheel, the other in the dashboard in front of the front seat passenger. The glove box was replaced with a lockable storage compartment under the dashboard. The option was unpopular and was discontinued after the 1976 model year. A new option package was a fully padded Cabriolet roof treatment. It incorporated a landau-style top with bright metal forward divider strip. Another new option package was the d'Elegance package. Similar to the Sixty Special Brougham's package of the same name, it featured velour upholstery, Deluxe padded doors, front seatback storage pockets, deep pile carpeting, floor mats, see-through standup hood ornament and vinyl tape accent stripes. The "d'Elegance" name remained with the DeVille series as a package through 1984. In 1997 it became a separate model designation for the sedan. Styling changes for 1975 brought dual rectangular headlamp lenses flanked by rectangular cornering lights wrapped around the body. A new cross hatched grille also appeared. Sedan de Villes now featured slim triangular quarter windows that mimicked the coach windows that appeared on Coupe de Villes the previous year. New standard equipment included front fender lamp monitors, power door locks, high energy ignition, steel-belted radial tires. The 210 hp 500 V8 replaced the 472 as the standard engine. Electronic fuel injection became optional in March 1975. Another option was the Astroroof with sliding sunshade that permitted use as an electrically operated sunroof or a transparent closed skylight. An ordinary sunroof panel was also available. In 1976 the grille saw a new and finer crosshatching pattern. Cornering lamps got new horizontal chrome trim while tail lamps gained a new bold look. Eight different color accent stripes were available. Vinyl tops were now integral padded Elk grain material. New trims included sporty plaids, plush velours, knits and 11 distinctive genuine leathers. Coupe de Villes had a new vinyl roof whose top molding served as a continuation of the door "belt" molding. A Controlled (limited-slip) Differential was included for extra traction. An optional illuminated entry and theft deterrence system was optional. A new battery, called the Freedom battery, never needed water added. New turbine veined and wire wheel covers were offered. A new option locked the doors when the transmission lever was shifted to "Drive". Cadillac also offered Track Master, a computerized skid prevention system that automatically pumped the back brakes in an emergency to shorten stopping distance. New options included a push-button Weather Band built into the AM/FM stereo signal-seeking radio, loose pillow style seats for d'Elegance packages, plus power passenger and manual driver seatback recliners for 50/50 front seats. Of the 15 standard and six optional Firemist body colors, 13 were new this year. New standard features included map light, Soft-Ray tinted glass, spare tire cover, washer fluid level indicator, and steel belted radial whitewall tires. From 1975 to 1976 small numbers of Coupe de Villes were converted into car-based pick-ups, similar to a Chevrolet El Camino, but much more upscale. Coachbuilding company Traditional Coach Works manufactured 204 of these, called the Cadillac Mirage, to Cadillac's standards, such that one could be ordered through a participating Cadillac dealer. The floor bed could carry flat plywood 4 x 8 sheets with the tailgate closed, while the two-seat front cabin offered driver and passenger a plush ride. A storage area behind the seats was used for golf-clubs or small articles of value, out of view. A metal cover with a lock on it was available for the rear bed, just as a trunk would also have. 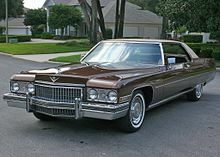 1977 was Cadillac's 75th anniversary, and saw the introduction of the downsized DeVille coupes and sedans. These new cars featured a higher roofline, resulting in a vehicle that was over nine inches shorter, four inches narrower, and 1/2 ton lighter than the previous year, but with a larger trunk and more headroom and legroom. These were also the first DeVilles ever to be marketed without fender skirts over the rear wheels. The 500 in3 V8 (which produced 190 horsepower) was replaced for 1977 by a 180-horsepower 425 in3 V8 variant of similar design. The reduction in size and weight was implemented to improve fuel economy and emissions as a result of the United States Federal Government passage of Corporate Average Fuel Economy regulations. 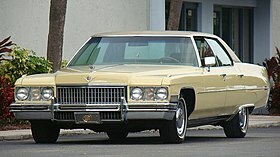 For 1977, the lineup included the two-door Coupe de Ville ($9,654) and four-door Sedan de Ville ($9,864). The $650 d'Elegance package, an interior dress-up option carried over from the previous generation of DeVilles, continued for both models. 3-sided, wrap-around tail lamps were a 1977 feature only (although they would re-appear in 1987). Coupe de Ville's popular "Cabriolet" option, priced at $348, included a rear-half padded vinyl roof covering and opera lamps. An optional electronic fuel-injected version of the standard 7.0-liter powerplant, adding 15 horsepower (11 kW), was available for an additional $647. Sales figures were 138,750 Coupe de Villes and 95,421 Sedan de Villes for an all-time sales record of 234,171 DeVilles sold. In addition to a redesigned grille and hood ornament, 1978 saw slim, vertical tail lamps inset into chrome bumper end caps with built-in side marker lamps (Cadillac would retain this "vertical tail lamp inset" design feature on DeVille through 1984, and again from 1989 through 1999). New for 1978, a "Phaeton" package was optional for DeVille. Available on both coupe and sedan, the $1,929 Phaeton package featured a simulated convertible-top, special pin striping, wire wheel discs, and "Phaeton" name plates in place of the usual "Coupe de Ville" or "Sedan de Ville" ornament on the rear fenders. Inside were leather upholstered seats and a leather-trimmed steering wheel matching the exterior color. The package was available in "Cotillion White" (with Dark Blue roof), "Platinum Silver" (with a Black roof), or "Arizona Beige" (with a Dark Brown roof). Coupe de Ville's popular Cabriolet roof package was priced at $369, while the d'Elegance package (for coupe or sedan) was available at $689. Electronic fuel injection, which added 15 horsepower (11 kW), was available at $744. Electronic level control - which used suspension-mounted sensors and air filled rear shocks - kept the car's height level regardless of passengers and cargo weight, was available for $140. Sales dropped slightly from 1977 to 117,750 for the $10,444 Coupe de Ville, and 88,951 for Sedan de Ville, priced at $10,668. With bigger changes coming in 1980, the 1979 models saw few alterations, which included a new lightweight aluminum hood and a new grille design with "Cadillac" script on the header above the grille. The "Phaeton" package, now priced at $2,029, was still available in three colors, but with two new replacement colors: "Western Saddle Firemist" (with leather interior in "Antique Saddle") replacing the "Arizona Beige", and "Slate Firemist" (with leather interior in "Antique Gray") replacing "Platinum Silver". The d'Elegance package was back, at $725, which included Venetian velour upholstery (in four colors) with a 50/50 split front seat, overhead assist handles, Tangier carpeting, door pull handles, and "d'Elegance" emblems among other niceties. In addition to the $783 "fuel-injection" option, there was also the choice of a 350 in3 LF9 diesel V8 (built by Oldsmobile) for $849. Coupe de Ville's cabriolet package, priced at $384, was available in 17 colors. Production rose slightly to 121,890 for Coupe de Ville ($11,728), and 93,211 for Sedan de Ville ($12,093). 1980 saw a significant refresh, with a lower, more aerodynamic nose, higher tail end, and a heavier, more substantial appearance. The Phaeton option was discontinued, but the $1,005 d'Elegance package remained. The Coupe de Ville now wore full, bright side window surround moldings, whereas the sedan had body-color door frames with a thin chrome bead around the window opening (as used in 1977 - 1979). The chromed-plastic grille held a very diplomatic, Rolls-Royce inspired design, with thick vertical bars, featuring the 'Cadillac' script on the driver's side grille header. 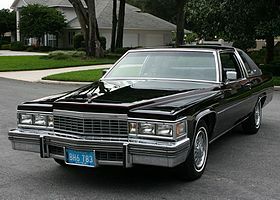 The grille cast for 1980 was used again for the 1989 to 1992 Cadillac Brougham. Late in the 1980 model year, V6 power (in the form of a 4-bbl 252 CID engine manufactured by Buick) was offered as a credit option. Cadillac had not offered an engine with fewer than 8 cylinders since 1914. The standard engine for 1980 was a new 368 CID (6.0 L) V8. Unlike the pre-1980 models, the rear window glass for both two- and four-door models was now the same, as the two-door models did away with the sporty slanted rear window and adopted the formal vertical look shared with the sedans. Pricing for DeVille was $12,899 for the coupe; $13,282 for the sedan. Sales dropped miserably for the 1980 model year, despite new sheetmetal and a multitude of improvements. Coupe de Ville was down to 55,490 (less than half of the 1979 figures), Sedan de Ville was also down by nearly half at 49,188. Oldsmobile's 5.7-liter diesel V8 was still available at $924, as was the popular Cabriolet option for Coupe de Ville at $350. 1981's biggest news was the introduction of Cadillac's modulated-displacement 368 in3 V8-6-4 engine. Developed by the Eaton Corporation - with design elements that had been tested for over 500,000 miles (800,000 km) - allowed various engine computers to decide how many cylinders were needed to power the car for optimal fuel economy. The theory was 8 cylinders from a complete stop, 6 cylinders during usual driving, and just four cylinders at cruising speed. The changes in cylinder operation were seamless, and most drivers did not detect any difference in operation. However, in some cases, reliability and component failure led to customer complaints. Cadillac defended its micro-processor controlled powerplant, and even offered special extended warranties to customers. Also available was Oldsmobile's 5.7-liter V-8 diesel engine. The 125 horsepower (93 kW) Buick V6, teamed with an automatic transmission, returned for 1981 after a short initial offering in the spring of 1980. Coupe de Ville was priced at $13,450, while Sedan de Ville, priced at $13,847, now had the unique option of an available automatic seat belt system - the first offered on a GM vehicle. With the automatic shoulder/lap belt system (only for the outboard front seat passengers), the shoulder point was moved from the upper B-pillar to the upper door glass frame, and the belt reel was moved from the floor onto the door itself, installed in the lower corner. With this, you could theoretically leave the seat belt latched at all times, and simply get in and out of the vehicle without having to unfasten the belt. The $150 option (which would re-appear as standard equipment on the 1990 - 1992 Brougham), was available only on V6-powered Sedan de Villes. 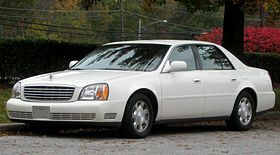 The V6 option itself was a $165 credit over the standard V8 in DeVille. A new grille design was made up of small squares, similar to the pattern from 1979, while the same chromed grille surround from 1980 continued. The egg-crate 1981 grille cast was used again for the 1987 and 1988 Cadillac Brougham models. A new Electronic Climate Control panel did away with the slide lever and thumb wheel in favor of a digital display which allowed the driver to set the interior temperature to a single degree - from 65 to 85 (or "max" settings at 60 and 90 degrees). Option groups included the $1,005 d'Elegance package (available on both models), and the Cabriolet package (for Coupe de Ville) at $363. Sales were up slightly from 1980: 89,991 sedans versus 62,724 coupes (figures include DeVille and Fleetwood models). Changes for 1982 were kept to a minimum, including a new thin vertical bar grille design (which was used through 1986) with the same grille surround from the past two years, and a new standard wheel cover design. Cadillac introduced a new aluminum-block 249-cubic-inch 4.1-liter HT series V8 engine to replace the V8-6-4. The new power plant featured a closed-loop digital fuel injection system, free-standing cast-iron cylinders within a cast-aluminum block, and was coupled with a 4-speed automatic-overdrive transmission. Other engine options included the Buick V6 or Oldsmobile's diesel V8. Inside, the Electronic Climate Control had an updated fascia that now included an "Outside Temperature" button. Previously, the outside temperature was available through an illuminated thermometer mounted to the driver's outside mirror. With the new front-drive Cadillac Cimarron taking over as Cadillac's entry-level model, the $15,249 Coupe de Ville was now a step-up. Sedan de Ville was priced at $15,699. Sales totals for 1982 included 50,130 coupes and 86,020 sedans (figures include DeVille and Fleetwood models). For 1983, slight reworkings under the hood added 10 horsepower (now rated at 135) to the standard 4.1-liter powerplant. Meanwhile, the Buick V6 credit-option was dropped. The biggest visible change was hardly noticeable - while the grille design was a carry-over from the previous year (and would be through 1986), the Cadillac script moved from the chrome header onto the grille itself. The wide parking lamps below the quad headlamps now had clear frosted lenses (previous years they were amber), with satin gold-colored winged Cadillac emblems centered on each lense. A very minor change in the rear was the deletion of the chrome tips on both sides of the lower deck lid trim. These little chrome corner pieces, mounted on the filler panels, were prone to pitting as they were made of a different material than the bright aluminum trunk trim and upper license late surround. Coupe de Ville's popular Cabriolet roof package added $415 to its $15,970 sticker price. While both models, including the $16,441 Sedan de Ville, could be ordered with the $1,150 d'Elegance package. 1983 was supposed to be the last year for the rear-drive DeVille, as new front-drive models would take over for 1984. However, numerous developmental delays caused DeVille to stay in rear-drive form for another year. Sales figures looked healthy, with a total of 109,004 sedans and 65,670 coupes (figures include DeVille and Fleetwood models). Because of a delay in production of the new front-drive DeVilles (which were now going to be 1985 models), 1984 was a re-run for the rear-wheel-drive Coupe de Ville ($17,140) and its four-door companion, the popular Sedan de Ville ($17,625). It would also be the last time DeVille used the "V" emblem below the Cadillac crest, as 1985 models and on would use the crest and wreath emblem - formerly a Fleetwood exclusive. Minor changes included new body-color side moldings and a revised exhaust system with a revamped catalytic converter. The diesel V8 was now available at no additional charge. While the optional d'Elegance package remained at $1,150, the Cabriolet option for Coupe de Ville went up to $420. For 1984, sales figures show a total four-door production of 107,920 units, and an additional 50,840 two-door units (figures include de Ville and Fleetwood models). The new front-drive 1985 Coupe de Ville and Sedan de Ville arrived in Cadillac showrooms during the Spring of 1984, about six months earlier than most new-car introductions, so both the 1984 rear-drive and 1985 front-drive models were selling and being produced (due to separate assembly plants) at the same time for nearly half a year. Orion Assembly, Lake Orion, Michigan, U.S.
For the 1985 model year, the DeVille switched to GM's new FWD C-body platform. A Fleetwood sedan variant was added to the mix at the start of production and shared the new front-wheel-drive platform and most dimensions with the DeVilles (the "Fleetwood Brougham" nomenclature remained on the rear-wheel-drive chassis through model year 1986 at which time the "Fleetwood" portion of the name was dropped and it became simply "Brougham" from 1987 through 1992). Production of the new C-body commenced December 1983 at the Orion Assembly Plant in Orion Township, Michigan. A Fleetwood coupe version of the new FWD C-body joined the lineup later in the production run. The front cover of the brochure advertised the new cars as the "Cadillac of Tomorrow". These new models were significantly smaller externally yet kept almost identical interior dimensions as their predecessors. This change also brought nearly the entire Cadillac line of cars to front-wheel drive, leaving only the Fleetwood Brougham as the only rear-wheel-drive car offered by the division. Cadillac's HT-4100 V8 remained the standard engine, mounted transversely and coupled with a 440-T4 automatic. Oldsmobile's 4.3L V6 diesel was optional. Of GM's front-drive C and H bodies, Cadillac was the only line to offer a V8 engine. The other GM vehicles were equipped with a Buick-derived 3.0 or 3.8 V6 engine, or - for 1985 only - Oldsmobile's 4.3L V6 diesel powerplant. 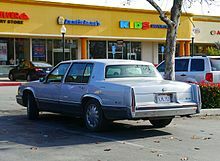 The 1985 DeVille was still available in sedan or coupe form. The d'Elegance package - an optional interior dress-up package featuring assist handles and button-tufted seating among other niceties - was no longer available on DeVille, but now offered solely on the Fleetwood sedan. Thanks to an extended model year (starting April 1984), sales of the new downsized 1985 DeVille and Fleetwood models reached nearly 200,000 units. For 1986, few changes marked the new DeVille's second year in production. An anti-lock braking system, developed by Teves, became available. A 2-position automatic rear-view mirror utilized two electronic 'eyes' and a small motor to dim when headlights appeared from behind. A factory-installed cellular telephone joined the option list at an astonishing $2,850. The standard space-saver spare tire now sat horizontally in the trunk, doing away with the small covered storage cubby in the spare tire well from last year. The optional aluminum wheels had new flush-fitting center caps (last year's design featured exposed capped lugs), and bumper rub strips changed from black to gray. 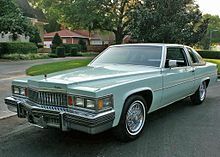 Borrowed from the front-wheel-drive Fleetwood line, the narrow lower body side molding from the 1985 DeVille was replaced with a considerably wider one, and the trim surround from the rear window gave the formal appearance of a smaller window opening. Inside, a more tailored look was applied to the seat trim. Coupe de Ville's popular cabriolet option, featuring a padded vinyl covering over the rear half of the roof, was priced at $698. Along with the exterior changes made to 1986 DeVilles, adding the Cabriolet option made it difficult to distinguish a 1986 Coupe de Ville from the 1986 Fleetwood Coupe. Pricing for the Coupe de Ville was $19,669, with Sedan de Ville at $19,990. The transverse-mounted Cadillac 4.1-liter V-8 continued from the previous year, but with 5 more horsepower. Introduced in 1986, Cadillac's Touring Sedan and Touring Coupe were based on the standard DeVille but included extras such as a subtle rear deck lid spoiler, body-color tail lamp bezels, front air dam with fog lamps, rear seat headrests, leather upholstery, and a performance enhancement package among other features. The package was available for $2,880. In addition, the Touring Coupe had removable decorative louvers on the rear edge of the side opera windows. 1987 saw a new front-end design including revised cornering lamps in front and one-piece composite headlamps flanked a trapezoid-shaped grille with a bold egg-crate texture. Elongated fender caps were in back - upping the overall length by an inch and a half, but much more dramatic in appearance with new wrap-around tail lamps. This new 3-sided tail lamp style was inspired by a design used on the 1977 DeVille. Unlike the new one-piece headlamps, the changes to the rear-end in 1987 had little to do with engineering, but rather, feedback from Cadillac's customer base who felt the 1985-86 car looked too short. Although the 1987 revamp was still quite similar to the 1986 model (so much in fact that it still used the previous year's deck lid), the design was more in-tune with the look that traditional Cadillac buyers were used to. Pricing for 1987 included Coupe de Ville at $21,316, and Sedan de Ville at $21,659. Fleetwood d'Elegance at $26,104, and the new Fleetwood Sixty-Special was available for $34,850. The Touring option, priced at $2,880 over DeVille's base cost, also included aluminum wheels mounted on 15-inch Goodyear Eagle GT tires. At the end of the 1988 model year, Cadillac discontinued the slow-selling DeVille-based Touring Coupe and Sedan, although the 4-door would return in 1992. For 1988, Cadillac kept cosmetic changes to a minimum in anticipation of the redesigned DeVille and Fleetwood models to come the following year. To mitigate the nearly $2,000 price jump this year, several previously optional items were made standard equipment including tilt steering column, telescopic steering wheel, power trunk release, split-bench front seating, cruise control, and variable delay windshield wipers. Under the hood was a new 155 hp 4.5 L V8 and heavy-duty battery. Pricing rose to $23,049 for Coupe de Ville, and $23,404 for Sedan de Ville. Cadillac's main competition in this time frame continued to be Lincoln, which, alongside their successful Town Car, was now fielding an all-new front-wheel-drive Continental (based on the Ford Taurus). The Continental went into production with a six-cylinder engine so as to be considered a larger front-wheel-drive alternative to the Acura Legend that appeared in 1986, with a front-wheel-drive platform and a V6 engine. 1989 introduced an extensive exterior redesign which included a longer 113.8-inch wheelbase for sedans. The 155 hp (116 kW) 4.5-liter powerplant (introduced just a year earlier), dashboard, and the front doors (on both the coupe and sedan) were about the only items that carried over — even the luggage compartment was over 2 cubic feet (0.057 m3) larger than last year. The Coupe de Ville and Fleetwood coupe retained the previous year's interior, wheelbase, and doors—all cleverly hidden between the new front and rear styling. A give-away to the previous design is the rear shelf package on the 2-door models. While the parcel shelf on the four-door models received a 'Mercedes-Benz inspired' storage compartment with lid, rear seat headrest panel, and a long 3-bulb horizontal brake lamp, the 2-door models still had the narrow carpeted parcel shelf and pedestal brake lamp from the previous year. Of special note were the composite (plastic) front fenders that resisted parking-lot dings and dents, and weighed less than their steel counterparts. Previously optional equipment that was made standard for 1989 included electrically powered outside mirrors and the AM/FM/cassette player stereo. New options introduced this year included a driver's side airbag, the Bose compact disc player, an electrically heated windshield, and a set of four reversible carpeted floor mats. For 1990, DeVille and Fleetwood lost their telescopic steering column, but retained the tilt feature in exchange for an airbag mounted onto the newly standard leather-trimmed steering wheel. Engine output was up an additional 25 horsepower (19 kW) from sequential multi-port fuel injection. 1990 models also received GM's PASS Key theft-deterrent system which used a coded electronic pellet embedded into the ignition key. Other new features for 1990 included a non-illuminated vanity mirror on the driver's visor (a passenger side visor mirror had been standard equipment for decades now), door edge guards (previously optional), "clam shell" front center armrest with storage, and manual seat-back recliners for driver and passenger. While Lincoln's Continental did not fare well against DeVille, a new sales threat—aimed directly at Cadillac—came from the 1990 debut of Toyota's Lexus LS400 and the Infiniti Q45 from Nissan. Additionally, the Acura Legend—Honda's high-end label—had been gaining momentum in the luxury market since its 1986 introduction. In 1991, a 200 hp (150 kW) 4.9-liter V8—the largest of this type—became the new standard powerplant. Also new was a grille of an inverted trapezoid design (almost upside-down from last year's egg-crate keystone design), and revised bumper and body-side moldings. The new grille held the familiar shape of the Cadillac crest itself—a styling cue that continues to this day. The grille was now attached to the forward edge of the hood, and lifted up along with the hood when raised (similar to Mercedes-Benz). The secondary hood release latch was at the bottom of the grille instead of its previous location above the passenger side headlight. In addition to the new engine and minor front-end restyling, several previously optional features became standard this year, including the anti-lock braking system, accent striping, automatic door locks, Twilight Sentinel headlamp control, electrochromic inside rear-view mirror, and electric rear window and side mirror defogger. New standard features included rear-seat air conditioning vents, central door unlocking from the driver's door and luggage compartment, sun visors with shaded slide-out extensions, rear window lock-out switch, brake / transmission interlock safety switch, and an oil life indicator through the fuel data center. Other new features included the available remote keyless entry system, and the optional illuminated mirrors now featured a slide switch that offered variable intensity lighting. 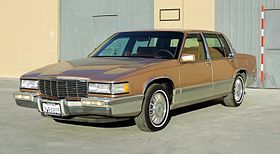 The first "Deville Touring Sedan" became available to the public on April 1, 1991. As a limited edition of only 1,500 produced for the 1991 model year, it was offered in 5 monochromatic paint schemes: Carmine Red; Cotillion White; Black; Dark Slate Gray metallic; and Black Sapphire Metallic. Larger 16" x 6.5" forged aluminum wheels with a wreath and crest center cap were fitted to P215/60R16 Goodyear GA all-season radial tires. A quicker 17:1 steering gear was also used. The specific Beechwood-color interior of the DeVille Touring Sedan had leather seating areas and revised seat design with integral lumbar support. Both driver and passenger seat featured six-way power seat adjusters and power recliners. This specific interior also featured American Walnut wood accents on the doors and instrument panel. A grill-mounted wreath and crest replaced the traditional stand-up hood ornament. Side door moldings feature "TOURING SEDAN" lettering and import style break-away outside rearview mirrors were painted body color. Revised sport door handles also are painted body color. The revised exterior also included a cloisonne deck lid lock cover similar to the STS and Eldorado Touring Coupe. For 1992, the Touring Sedan continued as a limited edition option. Besides the special features included in the initial 1,500 models from 1991, it featured on Touring Sedans, like other DeVille models, the "Symphony Sound" stereo with cassette was standard, while the optional Delco/Bose music system was available with cassette or single-slot CD player. Introduced for 1992, speed-sensitive suspension and traction control (both standard on Touring Sedan when introduced in '91) were available at extra cost on DeVille. Approximately 5,300 Touring Sedans were produced for 1992. 1993 saw few changes, as a brand-new replacement was coming for 1994. The previously optional speed-sensitive suspension, "Computer Command Ride", introduced last year became standard equipment, and now included a new speed-sensitive steering system as well. Minor trim changes were made including black-out trim in the grille (used on the 1992 Touring Sedan), and removing the chrome strip from the glass divider on the sedan's rear doors. 1993 would be the last year for the Coupe de Ville, which now came standard with the previously optional "Cabriolet" roof option (which covered the rear half of the roof in padded vinyl). Introduced as a prestige trim level of the Series 62 for the 1949 model year, Coupe de Ville's full-size 2-door body style had been declining in sales for several years, and as a result, the 1994 design went into production solely as a 4-door. Production ceased in July 1993. Cadillac built 17,507 Coupe de Villes and 2,429 Fleetwood coupes in 1990. The optional Cabriolet roof (standard on Fleetwood) appeared on 3,988 Coupe de Villes, while the available Phaeton roof was found on an additional 4,453 cars. The Phaeton roof, re-creating the look of a convertible top, was included in the Spring Edition package (with 4,413 built), which also included perforated leather seat inserts among other items. The most popular color for 1990 was Cotillion White, with 5,292 manufactured, while the least chosen color was Medium Dark Gray, which found its way onto 193 cars that year. While all these two-door models wore the standard white-wall Michelin tires, this would be the last year for plain wheel covers on Coupe de Ville (found on 2,788 cars this year), as next year would feature a standard styled aluminum wheel (similar to the Fleetwood coupe). 479 two-door models were produced for export that year: 383 to Canada, 81 to Japan, and another 15 to Saudi Arabia. 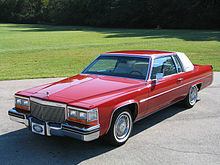 The 1990 Coupe de Ville was priced at $26,960, and the Fleetwood coupe at $32,400. 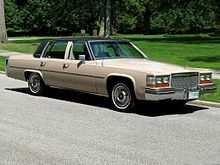 In 1991 Cadillac manufactured 10,057 Coupe de Ville models, and an additional 597 Fleetwood coupes (of the 597 Fleetwood coupes, only 248 were equipped with the optional Custom Seating Package that included power back rest recliners for the front seats, and a 2-position Memory Seat function for the driver's seat). All of these cars were produced at GM's Orion Assembly plant in Michigan. The total for both models with optional leather upholstery was 9,799 (with Dark Auburn being the least chosen interior color—only 11 in leather and 2 in velour were ever made). The most popular exterior color for 1991 was Cotillion White, with 2,967 models; while the least chosen color was Medium Dark Gray, of which only 58 were manufactured. Of the 10,057 Coupe de Villes, 3,397 were Spring Edition models. The optional Cabriolet Roof with opera lamps (standard equipment on the Fleetwood coupe), which covered the rear-half of the roof in padded vinyl, was equipped on 1,729 Coupe de Villes, while an additional 3,952 carried the $1,095 Phaeton simulated convertible roof. The standard cassette stereo was found in nearly all models, while 1,122 opted for the Bose sound system at extra cost (752 with cassette, 370 with compact disc). Cadillac produced 164 of the 2-door models for export, including 126 to Canada, 23 to Japan, 5 to the Gulf States, 3 to Puerto Rico and the U.S. Virgin Islands, and the remaining seven to Europe. Pricing was $30,205 for Coupe de Ville, and $34,675 for Fleetwood coupe. 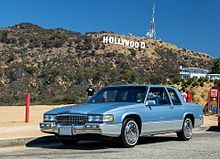 For 1992, Cadillac manufactured 6,980 Coupe de Ville models, and an additional 291 Fleetwood coupes (of the 291 Fleetwood coupes, only 128 were equipped with the optional Custom Seating Package, a $425 option that included power back rest recliners for the front seats, and a two-position Memory Seat function for the driver's seat). All of these cars were produced at GM's Orion Assembly plant in Michigan. The most popular color for 1992 was Cotillion White, with 1,879 models; while the least chosen color was Mary Kay Pink, of which only one was manufactured. Of the 6,980 Coupe de Villes, 2,635 were Spring Edition models. The Cabriolet Roof with opera lamps (a $925 option, and standard equipment on the Fleetwood coupe) which covered the rear-half of the roof in padded vinyl, was equipped on 3,572 Coupe de Villes, while an additional 3,319 carried the $1,095 Phaeton convertible-look roof. Only 89 standard painted-roof Coupe de Villes were made for 1992. Cadillac produced 144 of the two-door models for export, including 129 to Canada, and 15 to Japan. Pricing was $31,740 for Coupe de Ville, and $36,360 for Fleetwood coupe. With the discontinuation of the Fleetwood coupe at the end of the 1992 model year, the 1993 Coupe de Ville was Cadillac's last six-passenger two-door car. The previously optional speed-sensitive suspension, "Computer Command Ride", introduced last year became standard equipment, and now included a new speed-sensitive steering system as well. Minor trim changes included black-out trim in the grille (as seen on the 1992 Touring Sedan). GM built 4,711 Coupe de Villes this year. The previously optional Cabriolet roof became standard equipment this year, and appeared on 3,606 cars. The Phaeton roof, which re-created the dashing look of a convertible top (now just a $170 option since the Cabriolet roof was standard equipment), was found on 1,105 cars. There were no painted-roof Coupe de Villes this year. Again, the most popular color for 1993 was Cotillion White, with 1,147 manufactured, while the least chosen color was Dark Plum, which found its way onto 24 cars this year. The four wheel choices this year included the standard-design cast aluminum wheel on 2,012 cars, optional $235 lace-design squeeze-case aluminum wheel on 1,766 cars, optional $235 locking wire wheel disc on 749 cars, and the $1,195 chromed squeeze-case aluminum wheel on 184 cars. Only 18 Coupe de Villes were ordered with the no-charge option of blackwall Michelin radial tires, the other 4,693 models wore the standard-equipment white-wall version. 3,036 had mono-tone paint, while the others held a lower body accent color, with the breakdown as follows: Silver, 1,130; Dark Red, 275; Gunmetal Gray, 177; and Beige, 93. In total, 4,168 had the standard Symphony Sound system, while 543 were ordered with the optional Bose stereo (310 with cassette, 233 with compact disc). Nearly all Coupe de Villes had leather upholstery (the most popular color was Neutral, with 1,236 made), as only 239 velour interior models were manufactured this year (the least chosen cloth color was Taupe, with only 24 manufactured). No Coupe de Villes were produced for export this year, and only 523 of the 4,711 built included California emission equipment. The base price of the 1993 Coupe de Ville was $33,915. The declining popularity of full-size coupés led to the discontinuation of the Coupe de Ville at the end of the 1993 model year. For 1994, the series comprised the following four-door models: DeVille and DeVille Concours. Detroit/Hamtramck Assembly, Hamtramck, Michigan, U.S.
For 1994, the DeVille was redesigned to share the K-body platform with the Seville. The body was redesigned, although the wheelbase remained 113.8 inches—rather than the 111 inches used on the Seville. Production moved to Hamtramck, Michigan. Also for 1994, all DeVille models included a standard SRS driver-side front airbag, as well as fully digital instrumentation with integrated message center, which provided important vehicle information and status, current speed, outside temperature, and more, with controls mounted to the left of the instrument cluster. Also standard was a dual-zone front HVAC system, with controls located to the right of the instrument cluster, and remote controls on the front passenger door panel. A six-speaker audio system with A/M-F/M-Cassette stereo was standard, with an A/M-F/M-Cassette-CD stereo being optional equipment, as well as an eleven-speaker premium audio system. Premium cloth seating was standard, while luxury leather-trimmed seating surfaces were available on all trim levels and standard on higher trim levels, both with full power adjustments. Front and rear bench seating for six passengers was standard equipment on most trim levels, while front bucket seats were optional. General Motors's automatic lighting system, known as "Twilight Sentinel", was also standard equipment on all models. Controls for audio system, HVAC system, and cruise control were all mounted on the leather-wrapped, tilt-adjustable steering wheel. A SRS passenger's-side front airbag became standard equipment after a restyling in 1996, which also brought revised exterior styling and new audio systems with TheftLock coded anti-theft technology. The DeVille Concours was available with the new 270 hp (201 kW) LD8 Northstar V8, while lesser models retained the 4.9L L26 V8 until 1996. That year, the base model took on the lower-output Northstar while the Concours moved up to the high-output L37 Northstar, with 300 hp (220 kW). The DeVille Concours replaced the previous generation's DeVille Touring Sedan. The Concours introduced continuously variable road sensing suspension (CVRSS). The DeVille received a facelift for the 1997 model year, and added the d'Elegance trim line to replace the Cadillac Fleetwood. The name was shortened from Sedan DeVille to simply DeVille. 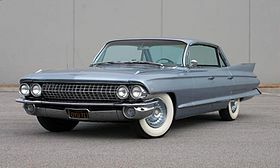 New headlights and a new grille were added, the rear wheel skirts were removed, the interior was redesigned, and the black/chrome trim was replaced by a double chrome trim in the base DeVille, chrome and gold trim in the d'Elegance, and chrome and body colored trim in the Concours. The Concours received real-time damping and Integrated Chassis Control System ICCS as standard. The interior gained a new dashboard design that hid the passenger airbag seams and new door panels with front side-airbags and the availability of OnStar system. Production of this generation ended in July 1999. The 2000 model year saw the first major redesign since 1994; this generation marked the move from the K platform to the G platform; despite this move GM continued to refer to it as the K platform. Production started in August 1999. The exterior was completely redesigned featuring a sportier, elegant and more aerodynamic design with a drag coefficient of 0.30. The revamped interior featured completely new door panels and seats, while the dashboard and radio face only received minor facelifts. Cadillac Night Vision on the DeVille was the first worldwide series production automotive night vision ever offered, however it was discontinued in 2004. This system was developed with Raytheon and worked by using a passive infrared sensor camera mounted behind the vehicle's grille. Infrared radiation is picked up by the sensor, processed by computer and then displayed on the windshield using an automotive head-up display. Information is displayed as a black-and-white image with warmer objects in white, while cooler objects appear black. Because this system outputs a standard NTSC composite video signal and the used parts are somewhat easy and inexpensive to find, it has become a popular choice for fitting thermal night vision to other vehicles. The 2000 DeVille was one of the first American production cars to offer LED tail lamps in automobiles, a feature now becoming increasingly commonplace on luxury and family cars. 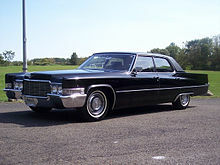 The d'Elegance designation was replaced with the DeVille DHS (DeVille High Luxury Sedan), which added several cabin comfort options to include power rear window sunshade and heated/massaging rear seats. 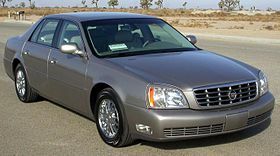 The performance DeVille Concours was renamed the DeVille DTS (DeVille Touring Sedan), and was available with stability control, continuously variable road sensing suspension (CVRSS) with magnetorheological dampers, also called MagneRide, and onboard navigation. The last 2005 DeVille rolled off the Detroit/Hamtramck Assembly line on June 23, 2005. It was replaced by the restyled and renamed DTS for 2006. In 2006, the DeVille nameplate was replaced by Cadillac DTS, an abbreviation dating back to 1985, when a "DeVille Touring Sedan" package was available. The new name brought the DeVille into line with Cadillac's Art & Science-era nomenclature, which saw the Seville renamed to STS and the Catera replacement called the CTS. ^ a b "Cadillac Terms and Definitions D - G". Cadillacdatabase.net. Archived from the original on 2012-01-11. Retrieved 2011-12-30. ^ a b c d e f g "Cadillac Terms and Definitions A - C". Cadillacdatabase.net. Archived from the original on 2012-01-11. Retrieved 2011-12-30. ^ a b c d e f g h i j Kowalke, Ron (1997). Standard Catalog of American Cars 1946–1975. Krause publications. ISBN 0-87341-521-3. ^ a b c d e f g h i j k l m n o p q r s t u v w x y z aa Gunnell, John (2005). Standard Catalog of Cadillac 1903–2005. Krause publications. ISBN 0873492897. ^ Flory, J. "Kelly", Jr. American Cars 1960–1972 (Jefferson, NC: McFarland & Coy, 2004), p.147. ^ "Directory Index: Cadillac/1965_Cadillac/1965_Cadillac_Brochure_1". Oldcarbrochures.com. Archived from the original on 2013-10-19. Retrieved 2011-11-20. ^ John Barach. "Cadillac history 1971". 100megsfree4.com. Archived from the original on 2010-09-11. Retrieved 2010-11-20. ^ "What are LED taillights?". Ask.cars.com. 2008-09-16. Archived from the original on 2013-03-27. Retrieved 2009-05-07. ^ Keegan, Walter J (2004-11-17). "Cadillac kills passive night-vision system — Autoblog". Autoblog.com. Archived from the original on 2009-07-11. Retrieved 2009-12-08. ^ Romans, Brent (1999-01-01). "Full Test: 2000 Cadillac DeVille DTS". Edmunds.com. Archived from the original on 2005-11-25. Retrieved 2009-12-08. ^ Vale, Frank (2006-12-13). "21st-Cadillac Night Vision". Vxm.com. Archived from the original on 9 January 2010. Retrieved 2009-12-08. ^ "Cadillac Introduces "Night Vision" Technology" (Press release). GM. January 16, 2000. ^ "Video: DIY'er Fits Cadillac Thermal Image Night Vision to his C6". Corvette Online. March 25, 2014. Archived from the original on December 29, 2014. 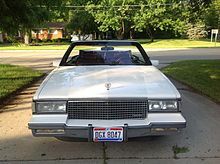 Wikimedia Commons has media related to Cadillac DeVille. This page was last edited on 23 February 2019, at 19:57 (UTC).